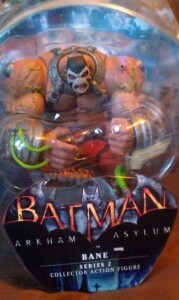 If you have played Arkham Asylum on the the Xbox,PC or PS3 you will know what a freaking masterpiece it is. The first series of the toys sold out within days. Having missed the first series to a combination of DC Direct underselling the toys to stores and stores making ridiculously tiny orders of one of the biggest selling toy lines of the year. If you see one in the shop don’t hesitate as he might not be there in a few hours. I bought mine from my local Forbidden Planet which sold out of complete sets within half a day. 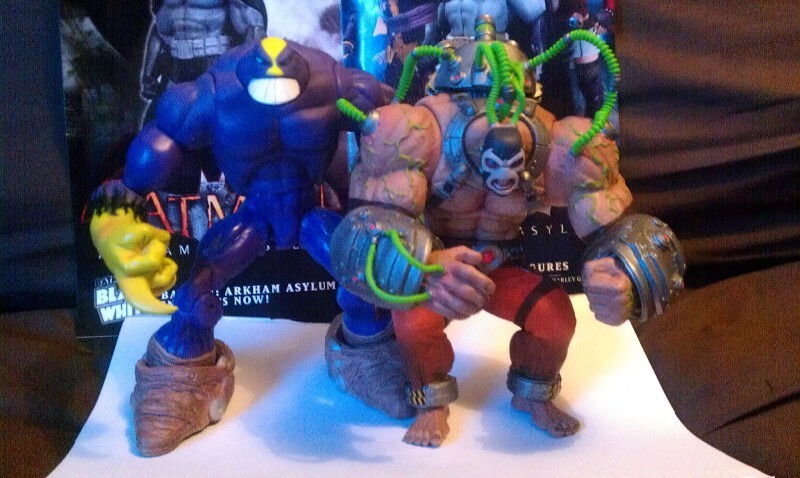 The second series includes Bane, Poison Ivy, Armored Batman and Zsasz. Easily the most impressive in the packaging is Bane. In the packaging he almost feels like he was made out of die-cast metal. It’s a very solid figure and because of it suffers greatly. 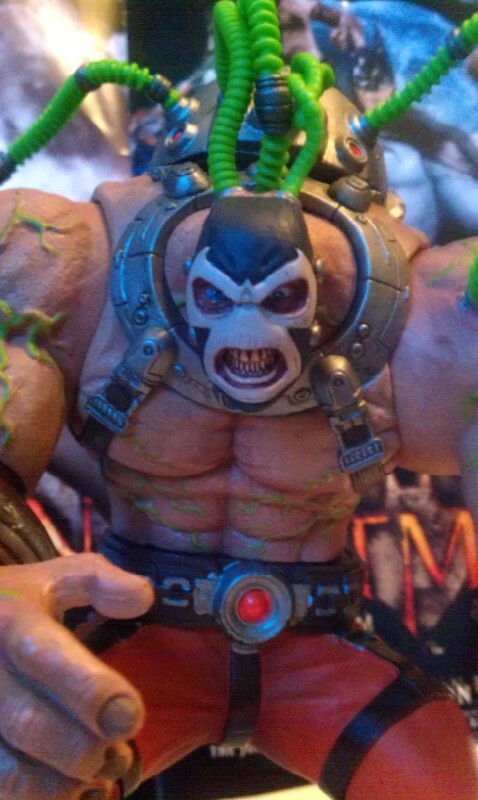 This isn’t a Hasbro toy it is clearly a collectors toy from DC Direct. They haven’t added any gimmicks but sold it on awesome game accurate detail. Articulation wise this is a pretty crappy action figure. It is literally sold on the detail. This is the biggest figure in the series and has 7 slight points of movement and I would only really count three of them. With his weight this can make him fairly hard to stand up too. 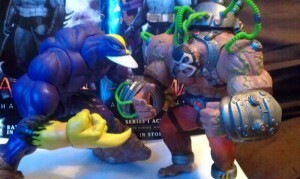 In the picture below you can see him matched up with Maxx from the Indie Spotlight series one toy line from Shocker Toys which is a few inches taller and managed to balance the articulation of a larger figure a little better. 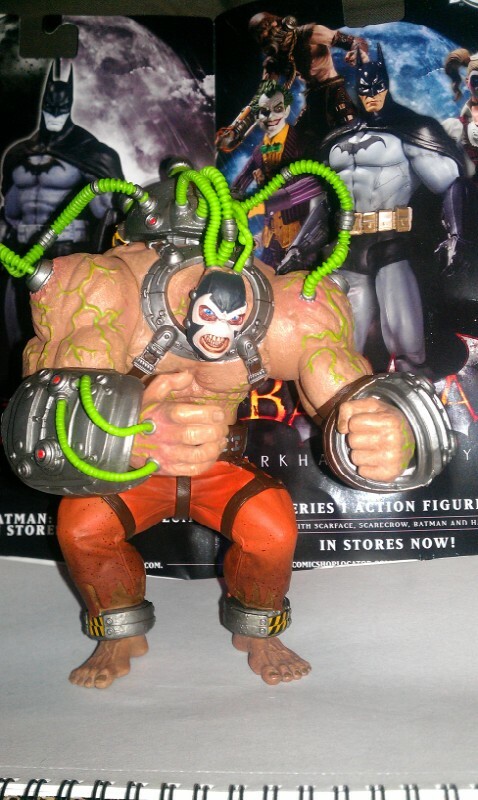 Bane comes with his venom back pack which again has awesome detail for the 5-6 inch scale figures. He also comes with a stand which you would think might help him stand up and it would if both his feet could fit on it. 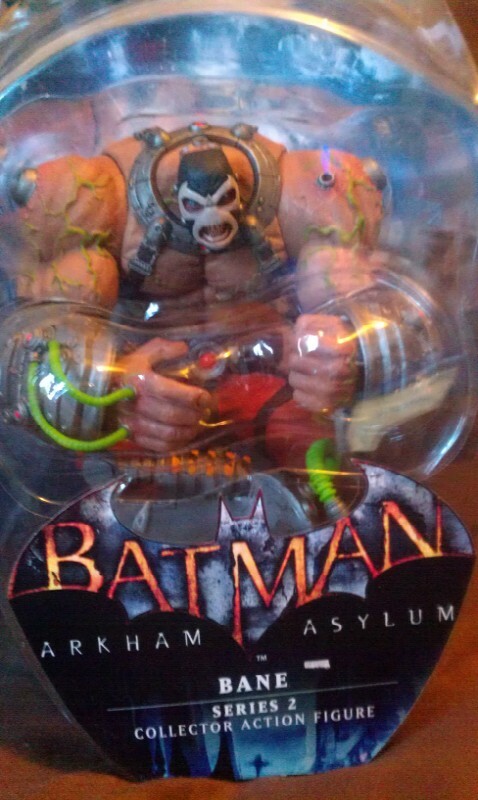 As mentioned before he is a very heavy figure and probably already takes up twice as much plastic to make than two of the other figures in the series. Overall it’s a must buy if you loved the game as much as I did. 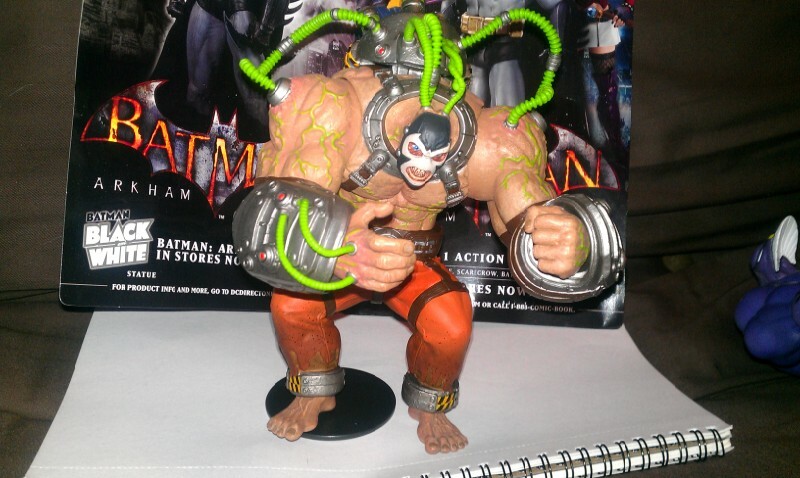 I’d love for DC direct to have put a little bit more thought behind the development of the figure. The movement is very poor and useless in pretty much all places and might have well been a statue. The stand is laughable as it doesn’t seem to help him balance at all. Detail wise though this is one of the best toys I’ve seen in the 5-6 inch toy range.